Two Big Kindle Promotions This Week! Posted on June 6, 2016 by Richard H. McBee Jr. I have just set up two kindle promotions for this week now that the summer holidays are here and you will have vacation time. Monday, June 6 through Friday, June 10 2016! 1. If you will be in the Gulf Coast Region or Caribbean and want to collect and identify your seashells! Here’s the ticket! Take that kindle to the beach and ID them on the spot with picture keys that really work! ASIN: BOOIP954W2 There is a paper version of this for persons who love to look a pictures and feel the book ISBN-13: 978-1495464034 and ISBN-10: 1495464032 You will want this for your coffee table and home, probably not the beach. NEW! Then, if you really are needing some further reading! 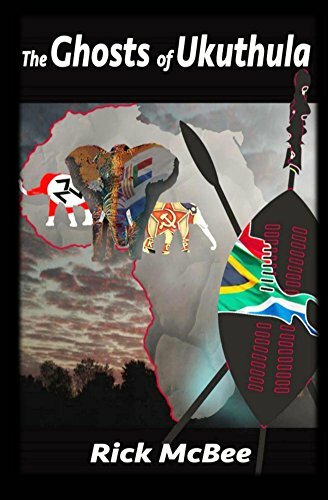 Going Live in the next 24 hours on Kindle as well as already on Create Space Books and other worldwide options for purchase is my newest novel: “The Ghosts of Ukuthula.” Africa lie it was in the 70’s through the 90’s with the African Liberation movement in Southern Africa: Adventure, Blood Diamonds, Witch Doctors and more across the Okavango Swamps and the Kalahari Desert. ISBN-13: 9781532995347 and ISBN – 10:1532995342 ASIN Coming! Keep me posted on what you like and want more of!